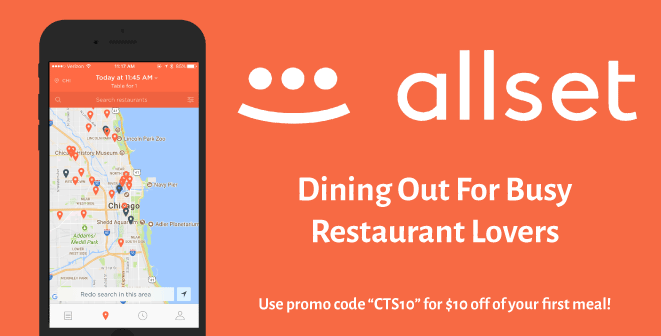 $10 OFF YOUR FIRST MEAL THROUGH ALLSET! Allset is a restaurant reservation and pre-ordering service that allows you to book a table, pre-order, and pre-pay for your meal at a local restaurant making for a wait-free dining experience in under 30 minutes! Enjoy $10 off of your first wait-free meal with promo code "CTS10", download HERE!